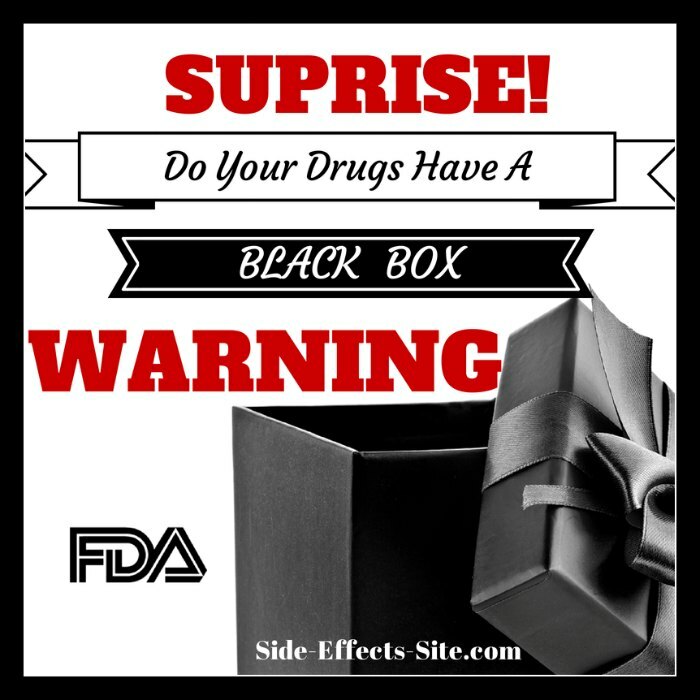 What does an FDA Black Box Warning Mean for You? In the most simple terms, an FDA Black Box Warning is the strongest warning that the US Food and Drug Administration (FDA) puts on a drug. It means that you should pay close attention to the drug's usage because there are some potentially extremely harmful or dangerous threats to your health that the already FDA approved drugs could pose. The other side of the coin, however, is that an FDA Black Box Warning means that, despite the FDA's knowledge of these harmful, serious and sometimes deadly side effects, that they are still leaving the FDA approved drug on the market for you to be able to take and potentially experience these harmful side effects. In theory, these FDA Black Box Warnings are designed for both the doctor who is prescribing the drug to be aware of the problems, and for you as the consumer to be more aware. The warning is placed in a prominent 'black box' on the package insert of the drug, hence the name 'black box warning', but few doctors ever see the package inserts, and the vast majority of consumers realistically aren't going to go through the amazingly large amount of technical information on the package insert. In reality, almost no one reads these and many doctors are never aware of the dangers that they are designed to be alerted to. One example of this is the very real danger of getting tendon damage and or tendon rupture from a class of drugs called Quinolone Antibiotics. The tendon damage or rupture, often known as Cipro Tendonitis, is acknowledged by the FDA and a consumer group sued in order to have the FDA place an FDA Black Box Warning on the drug. The consumer group WAS successful, and there is a warning for tendon damage and tendon rupture on the drugs now. Unfortunately, the vast majority of people who actually get the severe symptoms associated with Cipro Tendonitis usually have doctors who don't know that the antibiotics can cause this problem. As a result, people end up being disbelieved, going from doctor to doctor before finding one that knows what the problem is, or finding out the information on their own on the internet. While it's a step in the right direction and it's at least an admission by the FDA that there IS a problem, it certainly protects few from the problems that they are intended to protect people from. Another great example of an FDA Black Box Warning that no one really knows about is the warning on Tylenol (Acetaminophen). Were you aware that the FDA strongly warns consumers of liver failure from this Over the Counter Drug Side Effects? Liver Failure as a Side Effect of Tylenol! Yet millions of people take Tylenol every day without being aware that thousands of people are hospitalized and even die from taking Tylenol- many times when taking it in normally recommended doses!